Aside from being damaging for our figure and our bones, it turns out that fizzy drinks are also bad for our skin, for they contain phosphate, which speeds up the aging process, a recent study cited. 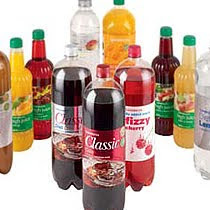 The study reported :“Research shows that soft drinks may not only break our body fit, damages our bones, but also hurt our skins, which is because phosphate, which gives many soft drinks their tangy taste, can accelerate ageing”. The findings of the study shows that the mineral, phosphate, which is also added to processed meats, cakes and breads, was found to make the skin and muscles wither and could also damage the heart and kidneys. Although the experiments were carried out in mice only, the researchers from Harvard University believe the results show the potential consequences of high doses of the mineral” . “Humans need a healthy diet and keeping the balance of phosphate in the diet may be important for a healthy life and longevity. Avoid phosphate toxicity and enjoy a healthy life.” Researchers said additionally.